Your favorite social network just arrived to your iPhone or iPod! 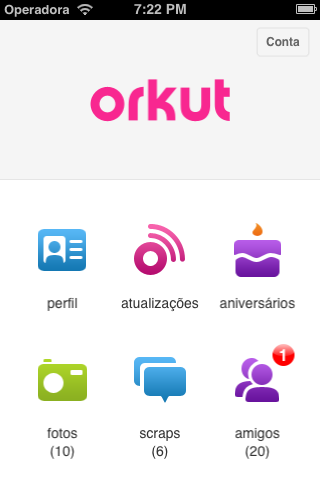 The official Orkut app for iOS connects you to your friends and family. Now you can send scraps, see your friends updates, upload photos and browse your friends albums anywhere you go. Never miss a conversation again because you are not in front of your computer: get the free Orkut app and stay connected.